There’s a well-known saying in South Asia: educate a woman and you educate a family, educate a girl and you educate the future. Digital entrepreneur Kanwal Ahmed has lived by this ethos her entire life and when she had a chance, she did just that. Kanwal Ahmed started a safe platform where women could have frank discussions about life’s issues, ranging from marital challenges to gender roles. 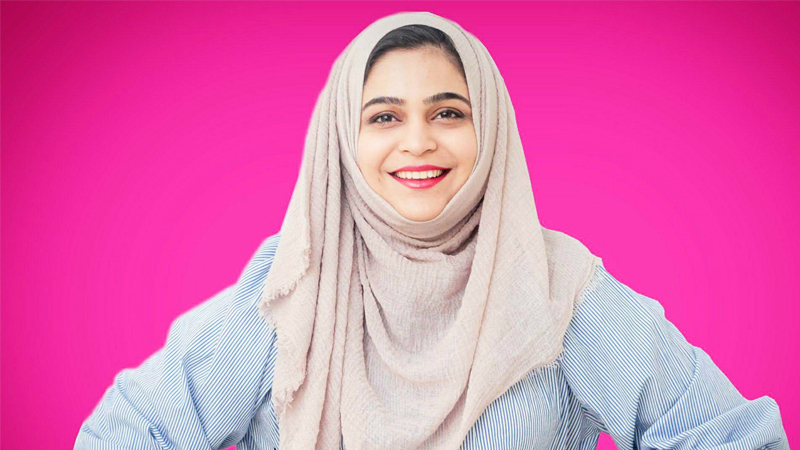 So, she formed a social support network Soul Sisters Pakistan on Facebook, which started with a few women to now boasting a strong community of 144,000 women from across all social classes and age groups, as well as some living outside Pakistan. Ahmed says this exercise has been about more than just establishing a platform. “It was about giving women a voice, so that they understand they are not alone and that they have a safe community where they can express themselves or support their ambitions. The community has helped tens of thousands of women in a safe environment, something which I am personally proud about. Ahmed is just one of the millions of inspiring women in Pakistan who are changing the social and business landscape of the country, and contributing to its economy through innovative ideas whilst giving back to her community. This year, as we celebrate Women’s Day, it is easy to lose sight of how the bonds we create online can be just as powerful as those we form in the physical one. This sense of purpose demonstrated by Ahmed resonates with Facebook and she is now part of a global Facebook community leadership programme designed to pay it forward. She has also appeared on a Neo TV reality show ‘Idea Croron Ka’ (The Million Dollar Idea), that gives entrepreneurs the opportunity to pitch their ideas to potential investors. Through this partnership, Facebook has awarded $100,000 to five promising community leaders in Pakistan for their efforts in changing their immediate communities. She is not alone. The pages Ahmed manages are a part of the 43 percent of pages on Facebook that are women-owned, providing everything from peer support to successful home-owned businesses. The number of such pages have increased 21 percent since 2017 and by more than 94 per cent since 2015, showing how Facebook can provide women anywhere with a platform to contribute socially and economically. And women are indeed a powerful economic force. According to a study by the Clinton Global Initiative published on the United Nations Economic and Social Council site, when women work they invest 90 percent of their income back into their families, compared with 35 percent for men. By focusing on girls and women, innovative businesses and organisations can spur economic progress in Pakistan, expand markets and improve health and education outcomes for everyone. In Pakistan, over three in four female business owners on Facebook say that social media helps their business. 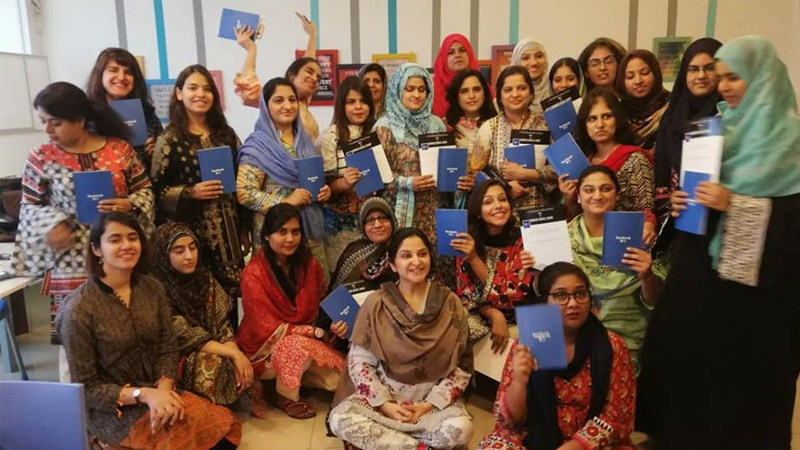 Women business owners on our platform in Pakistan are also benefitting from the role of community and mentorship, with nearly three in four saying that they have a role model, of which one in two say that their role model is a woman. At the same time, women business owners on Facebook in Pakistan still face significant funding challenges, with less than one in five stating that they currently have a bank loan or a line of credit. Pakistan itself boasts a centuries old entrepreneurship culture brimming with many success stories. And, in a country where a quarter of the women of working age are in active work and where women comprise one per cent of entrepreneurs, increasing women’s’ involvement in entrepreneurship has a huge potential, creating new employment opportunities, boosting economic growth and diversifying the small business community. At Facebook, we are working to realise this potential. Our #SheMeansBusiness initiative is now in Pakistan as well as in 19 other countries. Globally, we have trained over 42,000 women entrepreneurs in-person and more than 50,000 online. In Pakistan, we aim to reach 20,000 women across the country over the next three years, delivering digital skills training with a focus on small business development and online safety. We do this because we believe technology is an enabler for women to pursue their professional and commercial ambitions. It also leaves a deeply personal impact. The signs are encouraging. Our Future of Business survey 2018, conducted with The World Bank and OECD, found that businesses driven by women are more likely than men to leverage online tools to drive success and highlights that higher rates of entrepreneurialism are found among women in less developed markets. Wherever women are successful, it drives social growth – more women are employed, more role models are created and there is more diversity as it includes more talent in the marketplace. Successful female entrepreneurs also invest in their communities and in educating children. From humble beginnings, #SheMeansBusiness is now supporting women in 24 countries, demonstrating how programs developed partnership with local organisations are so important to women and their communities. Not long after we launched the #SheMeansBusiness program in Pakistan, a woman who had heard about the program reached out to me first through emails and then on the phone, passionately explaining why this programme was so important to women’s economic empowerment. What struck me about this was that to her #SheMeansBusiness was not just about helping women start business for economic reasons. It was also about showcasing successful women and changing the perception internationally about women in Pakistan. Last year, when I made my way to Islamabad and Lahore to officially launch #SheMeansBusiness, I had the opportunity to meet with many women starting their own businesses. Through them, I developed a deeper understanding of their challenges and came away inspired by their tenacity, imagination and achievements. I left with a much heavier suitcase, loaded with notepads, scarves and locally made jewellery and more importantly, as a passionate advocate for women entrepreneurs in Pakistan.